The Santa Rita winery was founded in 1880 by Domingo Fernandez in the same area of Alto Jahuel where its main facilities stand today. From the end of the nineteenth century to mid-1970s, the winery developed under the ownership of the García Huidobro family. Then in 1980, the Claro group and the Owens Illinois company – the main producer of glass containers in the world – acquired the Santa Rita winery property. Together with this, great technological advances and winemaking techniques were introduced to wine production: in the commercial area, the 120 line was launched in 1982, and in 1985-1986, Santa Rita winery wines began significant penetration into world markets. In 1988, the Claro group took total control of the winery. The year before, Santa Rita had acquired the Carmen brand, of great prestige in the local market. At the end of the 80s and the beginning of the 90s there began a period of great expansion for the winery, sustained by the strong boost in its exports and the excellent reputation of its wines. 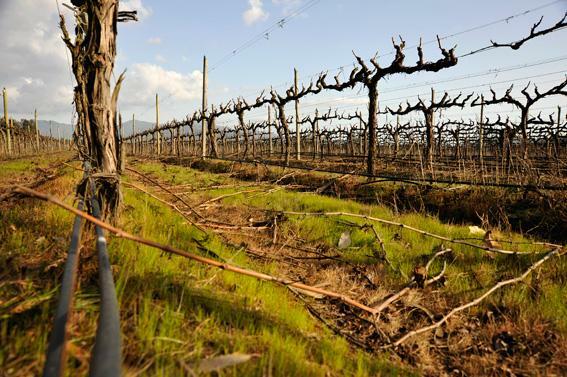 In turn, in the agricultural area Santa Rita completed the acquisition and planting of more than 1,000 hectares in the most important Chilean wine producing valleys: Maipo, Rapel, Lontué, Casablanca and Apalta. In 1992, project Viña Carmen began, oriented towards the production of fine wines for the international market. And in 1997, Santa Rita winery made its first entry abroad when it formed Viña Doña Paula PLC in the Republic of Argentina. In 2001, it acquired the Terra Andina brand. In 2003, Santa Rita Europe Limited was created with an office in London. In 2005, distributor Santa Rita Ltd was formed. In 2008, Santa Rita USA Corp was founded with an office in Miami. And in 2009, Nativa Eco Wines PLC was formed to develop organic wines. Santa Rita and its subsidiaries currently market their products in over 75 countries, always focusing on the premium and superfine segment. All the above forms the basis which has allowed Santa Rita winery to place itself in a privileged position as producer and leading exporter of quality premium and superior quality wines. James Suckling 90"This has ginger with dried strawberries and flowers. Slightly jammy but finishes austere enough. Drink now." James Suckling 93 "A red with complex aromas of blackberries, blueberries and mint. Full body, with fine tannins and flavorful finish. It seduces you with all the dark fruit character in a reserved way. Aged about 17 months in barrel. 65% cabernet franc, 30% cabernet sauvignon, 5% carmenere. "